You've fully committed to a race! You signed up and paid and...now what? It doesn't matter if you've signed up for a 5k or a marathon, getting to race day and doing well on the race all depend on the same kind of things. And there's not much worse than getting to your race unprepared, so I'm going to give you the things that you're going to want to know/do before race day to make sure you're prepared. 1. Know the details of the race. I'd hope that before you signed up for this race in the first place, that you know where it is. Make sure you know the location, starting time, packet pick up time/location, when the buses leave... all of it before you head out on race day. All of this information will be on the race website so make sure you find all of that out! 2. Pick up your packet. I love packet pick up day! 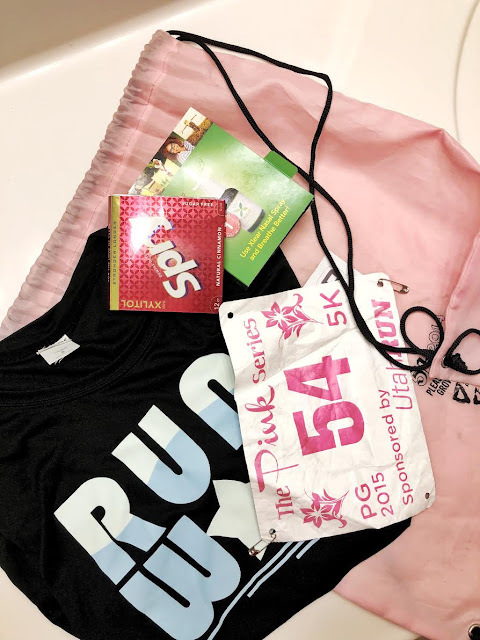 You get your bib number, usually a shirt, and a whole bunch of other swag in your packet. This goes back to the number one though, you need to make sure you know where packet pick up is. 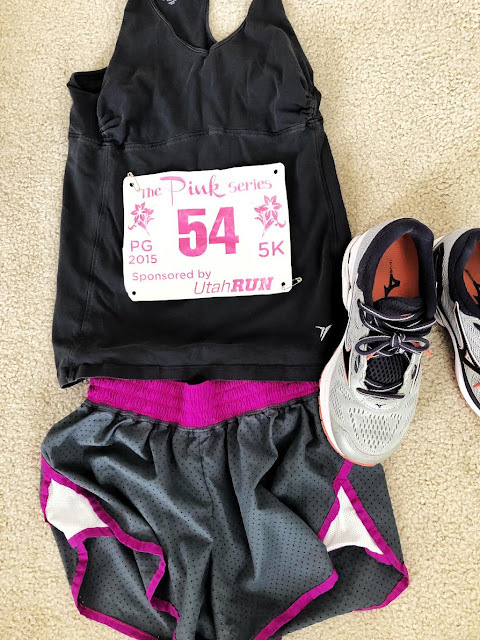 If you're traveling for your race and the race isn't doing a packet pick up the day of the race, you'll want to plan an extra day before your race to make sure you get there in time to get your packet and get settled. Sometimes they will have packet pickup at the same location as the race, sometimes they even have a packet pick up on race day, but I like to make sure to pick up my packet early. That way I know that I have the most important things (like my bib number) and I don't have to spend time standing in line on race day. Sometimes packet pick up will be in a different location, in which case you need to have your packet before race day anyway. 3. Know the race course. You don't really need to drive the course or anything like that, but you need to know if it's a hilly race or flat, if its a trail run or on the road, is it an out-and-back or a loop? Those things will all impact the way you train. If the course is hilly, obviously you're going to want to make sure to get some good hill work into your training. 4. Have a goal in mind. Every time I run a race I have a goal. It's not always a PR goal (although it's always awesome to PR), but some goal for myself to focus on every race. Even if it's a goal to finish or to enjoy the course. Find a goal and train for that goal. 5. Know what weather you'll be running in. Take into account the time of day and if it's a shaded course or out in the sun. You want to dress appropriately for the weather. You also want to know how to hydrate and if it's going to change your goals. You can usually find an average temperature for that race day in the area but also make sure to watch the weather reports in the week or so leading up to race day. 6. You need to know the logistics for everything going on that day. You need to know what time to wake up to make it to buses (or the starting line) on time. If it's a bigger race, you'll be starting earlier in the day. Make sure you know the best route to take to get to the race so you miss any traffic jams that could make you late. Make sure you know where to park. This always stressed me out at first because I wanted to make sure I parked in a safe area that was easy to get to after the race. You don't want to get to the race and have to walk another mile to your car. You might also need to pay for parking so make sure you bring some extra cash with you. If you have people coming to watch you, it's always nice to plan out where on the course they will be so that you can watch for them. Let them know what time you'll be finishing so they can be at the finish line when you come across and where to meet you after. Also, let them know where to park and what roads to take so that they don't get stuck on a road that' is closed for the race. 7. Find a training plan that works for you. You can find training plans all over the internet for all different kinds of races. Get a training buddy if you need to, get out and get moving. If you need to, make adjustments to your training plan to fit the time frame for your race. Now you know what to do to get you to race day, HERE are some things to do the week before race day! Have fun and enjoy the journey and the race. It's a little bit addicting so be ready to sign up for another one right after. 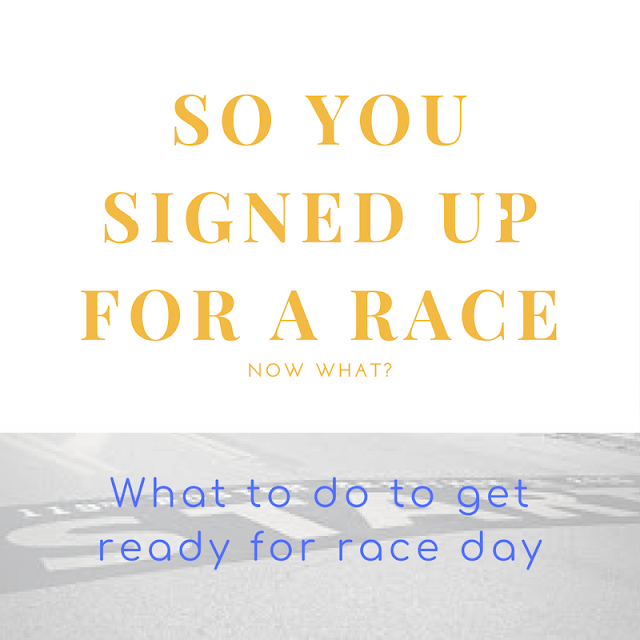 Who's signed up for a race right now? What's the furthest race you've ever run? Have you ever traveled for a race? all great tips! and as control-freaky as I am I still have gotten it wrong occasionally, especially with logistics. nothing worse than not being dressed appropriately or coming in at that last minute to start the race! Ragnar relays sound so fun to me! I've never done one yet, but hopefully soon I'll be able to. Good luck on your races coming up! I think that knowing the race course is so important. For me, I like to know if there are any hills involved! Yes! You really don’t want to show up to a hilly race and have only trained on flat! Good tips! I do like to be aware of the parking situation bc that can add on time that you did not account for. These are great things to keep in mind. Some of the logistics have been particularly challenging (and stressful) when I race internationally. So far my longest race has been the marathon distance. Ha! Race day weather is such a game of chance in Cleveland. I don't even bother checking on the weather until the night before! It's nice to see a rundown of race logistics! No matter how much I plan, there's always something that throws me off! Planning ahead is always a good idea. I always try to make it a priority to look over the course map. I find it so much easier come race day to know what to expect when I'm out running the race. I'm signed up for a 5K on Monday. Over the past few years that I've been running, I've eased up a bit on race day prep. I will now pick up my packet on race day morning (i'm an early riser and am always there in enough time). I don't think I've ever really paid too much attention to the course, either. I just follow the people in front of me and trust that I will make it to the end. I should be better about that.